Achilles tendonitis, also known as, tendinosis or Achilles tendon pain, is a common injury. You often get Achilles tendonitis due to overuse of the Achilles tendon, the tendon that connects the lower end of the calf muscle to the heel. Younger and middle-aged people are most likely to suffer from this condition. As this is due to overuse, it is more common with sports like running, basketball, and football. It happens because of sudden bouts of intensity during physical activity, or not stretching or warming up enough before taking part in sporting activities. This will be intensified even more on hard surfaces. If you believe you may be suffering from Achilles tendonitis, the back and sides of the heel may be swollen and sore to touch. You may also feel a warm sensation. If you experience pain around your calf when walking, running or exercising, this could also be a sign of an injury to your tendon. Other symptoms of Achilles tendonitis include stiffness, prolonged pain around the back of the leg and tenderness. Many cases of Achilles tendonitis can be treated with simple home remedies. It is important to note that if you have a serious case of Achilles tendonitis, you may need to consult with a doctor, as surgery may be required. Massage is a great way to help with Achilles tendonitis. It can reduce stiffness and swelling and help with circulation. 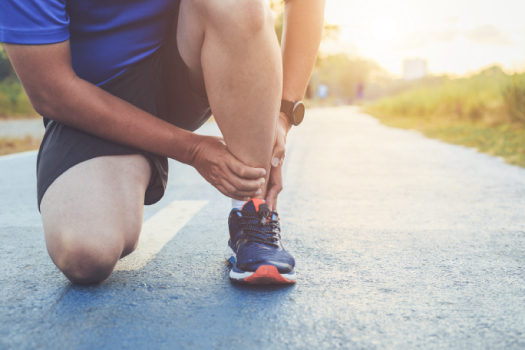 Chiropractor treatment of Achilles tendonitis can involve several therapies, including massage and an exercise regimen designed to reduce pain and swelling as well as strengthen the tendon. Let us create a tailored treatment plan to provide you with the best treatments possible for Achilles tendonitis or other health concerns or pain you may have..